The diversity of the British Isles has continually engaged politicians, analysts and academics, fuelling fierce debates. Recently, the Scottish referendum on independence highlighted the contrasts and commonalities between, particularly, England and Scotland. Moreover, it raised the issue of intra-regional dissimilitude; the depth of difference within Scotland itself. There were variations in voting and opinions about independence that manifested in distinct preferences within certain places, such as Dundee; a city with a population that voted with a relatively strong majority for Yes. What those voting trends mean for present-day Scottish politics and society is beyond the ambit of this historical project about Victorian professions. Nonetheless, the emotive politics give an immediate indication of the regional challenges facing our study, which also underpins the subject of this post: Dundee. Over one hundred Dundee professionals have been drawn from the 1851 census (a full list of the Dundee cohort can be seen here . We have then attempted to trace their parents (and grandparents where possible), together with their children and grandchildren. Subjects and themes become apparent as networks and family trees are formed. However, given the national and regional contrasts, described above, a central question immediately bubbles to the surface: Does our Dundee cohort reflect wider trends in the Victorian professions – and, if it does, to what extent? We need to know if the Dundee cohort of professional men, taken from the 1851 census, is emblematic of (or contrastive with) wider British, Scottish, Angus or Dundee trends. Distinctly Scottish themes need to be teased apart from those of England and Wales. We therefore need to garner information and data on the local, national and international ties of Dundee professionals. The history of Dundee is a fascinating mix of seafaring, politics, industry and manufacturing. A historical tour of the Victorian landscape would not be complete without making reference to the jute industry, which – forgive the pun – is weaved throughout our Dundee cohort. To name but a few of the interested parties, fortunes were made by merchants, bankers and entrepreneurs. Yet, an over-focus on the jute industry can block out the range of professional life within Dundee City and its suburban conurbations. As such, a future post will discuss the long shadow of the jute industry on the professions in Dundee. This post will instead focus on professional life beyond the oft-lamented mono-history of employment in this important Scottish city. The joining of the Brodie and Paul families in 1855 therefore provides an unusual glimpse into professional life in nineteenth-century Dundee. In this post, George Brodie (1802-1860) is our cohort member. 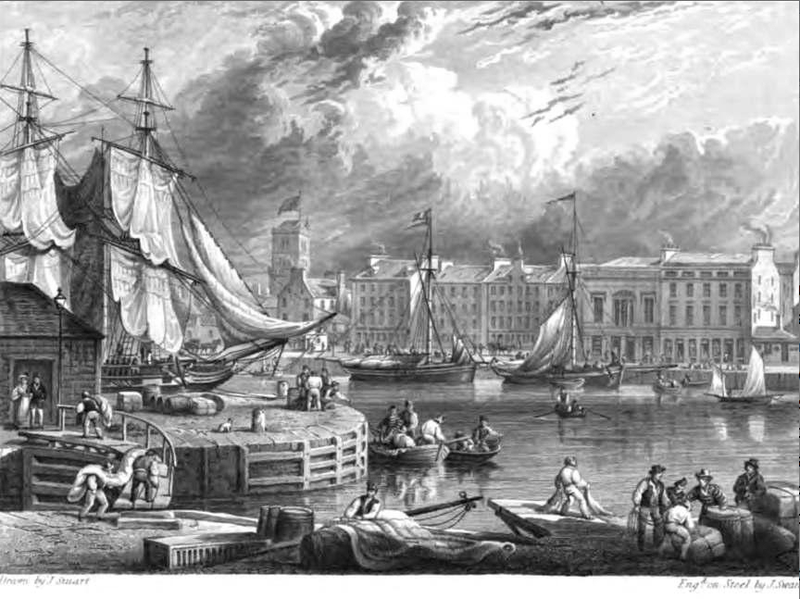 The son of a Harbourmaster (John Brodie), the censuses of 1841 and 1851 denote George’s occupation as ‘Auctioneer’. This reflects a surprising fluidity across generations of Dundee professionals. Tight circles of movers and shakers influenced Dundee, with some families forging effective dynasties, but they and their offspring pursued a wide variety of careers. While not strictly a profession, auctioneers were part of a growing commercial class, of which some sections were moving towards professional status. The Dundee Directory of 1850 describes George as ‘auctioneer, appraiser and commission agent’. His business address was in Reform Street, but he and his family resided in Union Street. Between the 1841 and 1851 censuses, George moved the family to Edinburgh, while he lodged at Union Street in Dundee. He died in 1860, but seems to have left a comfortable annuity for his widow, Elisabeth, and their seven surviving children. Elisabeth (maiden name, Winlack), became head of the family. Their servants decreased from three to one, but Elisabeth managed to retain a single servant over the three decades of her life as a widow. According to the censuses, the family moved several times, before settling in Lanarkshire between 1871 and 1881. Two of the daughters, Cecelia and Georgina, remained with their mother. They had no occupation and died as spinsters – although Cecilia became head of the household after Elisabeth’s death, and remained so for the next two decades. Their income came from George’s legacy (possibly increased by investment) and regular boarders in their house. Three further daughters, Jessie, Margaret and Helen, are presumed married; but, as yet, we have not identified their husbands, nor traced their married lives. The two remaining children, George and Elisabeth (to confuse matters), brought the family’s fortunes into a new era, under the wing of an old and established profession: the law. George Brodie (junior) also lived with his mother until her death. He then migrated to London, where he was documented as a lodger in the censuses of 1891 and 1901. He had veered away from the more risky commercial exploits of his father (and the seamanship of his grandfather) to pursue the relative financial security and assured status of a legal career. George was educated at home, before taking an appointment in a ‘lawyer’s office’ in Edinburgh at the end of the 1850s. His career then progressed from a legal clerk to ‘writer and notary’, before he emerged in London as a fully-fledged solicitor in the 1891 census. The contrasts between migration to and from Scotland remain to be seen in this study, but Dundee does not seem to present a brain-drain. George seems to be going against the traffic of migrating professionals into the city in the mid- to late-Victorian period. His ambitions seem to have taken precedent. He remained a bachelor, with no known children. George’s elder sister, Elisabeth, had meanwhile married Archibald Paul (1829-1885) in 1855. It is not clear if this marriage aided George’s career, but it seems reasonable to assume that it was not an impediment, given Archibald’s success. In 1850, Archibald was a writer for a legal firm in Castle Street, Dundee. Ten years later, he had progressed to solicitor, working at another office in the same street. By 1871, Archibald was a ‘Procurator Fiscal’ and Elisabeth’s occupation was named as ‘Procurator’s Wife’ in the census of that year, hinting at the status of this role. We have no image of Archibald, but there are many extant paintings of various procurators fiscal, including John Boyd Baxter, who we will return to in a subsequent post about the powerful Baxter family. The procurator fiscal is a uniquely Scottish post. Although the term itself has origins in Roman law and Latin, the Scottish legal system and use of the procurators is something altogether different. For our Victorian professionals, it compounds the importance of local context. Scottish law differs greatly from its English counterpart. For example, there is no coroner in Scotland. The Procurator Fiscal is the public prosecutor responsible for the investigation of crime, and all sudden, suspicious or unexplained deaths. There is no equivalent in England and Wales. Scotland has led the Western world in legal medicine, creating a whole spectrum of legal practice within its borders in the nineteenth century. 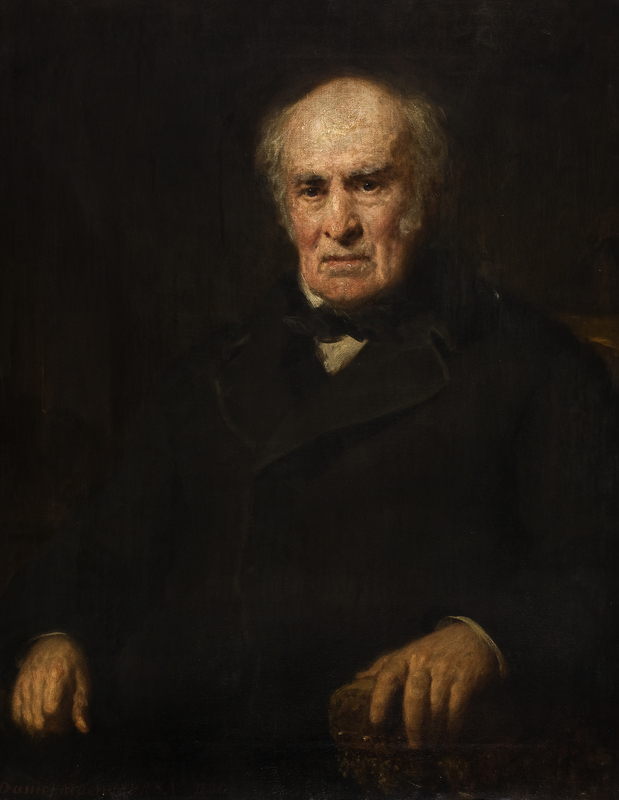 For example, the Edinburgh professor, Andrew Duncan (1744-1828), coined the term ‘medical jurisprudence’. Moreover, in 1856, knowledge of forensic medicine became essential for entry to the Faculty of Advocates (one of the most important professional bodies in Scottish legal practice). The use of medicine and forensic expertise in the courts impacted on the education and career structures of legal professionals in Scotland. It also created a range of legal fees, and a salaried post, that provided income for legal practitioners that would not have been available elsewhere. This rich and complex history has left a legacy. Today, Glasgow, Edinburgh and Dundee have become centres of expertise in forensic medicine. The Dundee directory of 1882 further underpins the success of Archibald, who served as Procurator Fiscal and become a partner in one of the city’s legal practices, Paul, Dickie & Paul. Small wonder, then, that by the 1880s his health had become a growing concern. What kind of physiological ailment – whether it was mental or physical morbidity – is unclear from the 1881 census, but it lists Archibald as a boarder in a hydropathic centre in Stirlingshire, along with Elisabeth and two of their children. Their choice of care provider provides an insight into another aspect of nineteenth-century Scotland that interplays with our professional cohort. 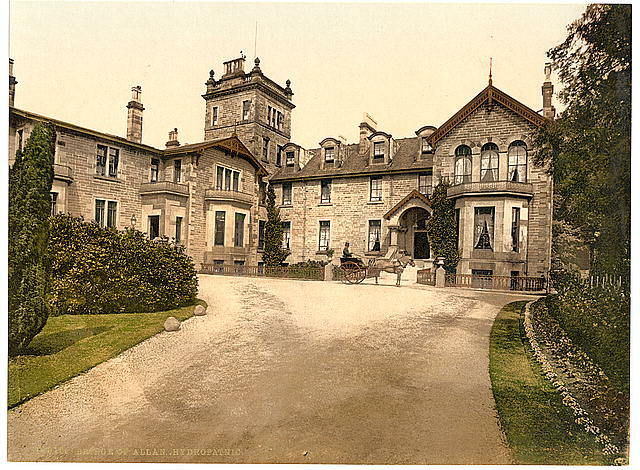 Given the district (Logie) we can surmise that Archibald stayed in the Bridge of Allan hydropathic centre, notable for Robert Louis Stevenson’s annual visits. It was also listed in Dr Thomas Linn’s international guide to hydropathic centres. Hydrotherapy was a semi-medical experience for much of the nineteenth century. As Janet Oppenheim has said, ‘hydropathic practitioners stressed the inextricable links that bound the nervous system to every bodily tissue’. It thus became the treatment of choice for professionals suffering from mental breakdown, depression and nervous disorders. These were places of rest and convalescence, generally associated with healthy living and abstinence (particularly, from alcohol and pharmaceuticals). Nonetheless, hydrotherapy was big business. It evolved into an indulgence of the professional and middle classes. Hydro-centres became forms of conspicuous consumption and health tourism; expensive and lavish hotel complexes set in beautifully bucolic landscapes. Turkish (Roman) baths, steam rooms and plunge pools typically formed the internal workings of a complex, while days were spent on scripture reading, religious attention, walking in fresh air and socialising. Although the Paul family’s experience at Bridge of Allan would not have been a uniquely Scottish phenomenon, the industrial scale of hydrotherapy in Scotland was unusual. It was constructing water therapy centres disproportionately for its population size and in comparison to the rest of the British Isles. By 1891 there were 63 hydro centres in Britain, 20 of which were in Scotland. James Bradley, Marguerite Dupree and Alistair Durie observed of Scotland, ‘…between 1875 and 1884 over half of the total capital mobilized in the service sector can be attributed to the fourteen hydropathic establishments that were limited liability companies.’ Archibald and Elisabeth were therefore archetypal consumers for a health and leisure industry, which was at the height of its provision. Yet, over-investment and over-expansion was to lead to the rapid decline of the hydropathic industry in Scotland within a few years of their stay. Whatever the reason for their hydrotherapy, Archibald died of heart disease in 1884 aged 56 years old. Elisabeth lived a further 16 years before her death at the age of 65. Together, they had 10 children. Of their three surviving sons, two went into law and the third became a commission agent. It seems to have been a life well-lived for Archibald, the son of a coachman and, Elisabeth, the daughter of an auctioneer. Nonetheless, despite a shaping of their own destinies, the experiences of the Brodie and Paul families reflect an intricate relationship with Scotland and Dundee. Bradley, M. Dupree and A. Durie, ‘Taking the Water-Cure: The Hydropathic Movement in Scotland, 1840-1940’, Business and Economic History, 26, 2 (1977): pp. 426-37. Oppenheim, ‘Shattered Nerves’: Doctors, Patients, and Depression in Victorian England (Oxford: Oxford University Press, 1991). D.J. Pounder, ‘Law and Forensic Medicine in Scotland’, The American Journal of Forensic Medicine and Pathology, 14, 4 (1993): pp. 340-49. K.D. Watson, Forensic Medicine in Western Society: A History (Routledge: London, 2011).